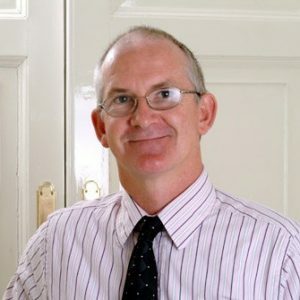 Dr. Morris is an Adult and Children’s Allergy Consultant with 20 years experience in allergy testing and postgraduate diplomas in Allergy, Dermatology, Family Practice and Paediatrics. Doctor Morris recently completed a Postgraduate course in Clinical Immunology at Warwick University in the United Kingdom (2017), and a specialist study course for the treatment of Chronic Urticaria in the United Arab Emirates organised by EAACI (2016). Participant in a number of international clinical studies on allergy treatment including: Early Prevention of Allergy and Asthma (EPAAC) Clinical Trial. Clinical investigator Novartis 5 year trial on efficacy of Pimecrolimus. Clinical Assistant in Immuno-pathology, Frimley Park Hospital, Surrey..
Tutor and Mentor, Urgent Treatment Centre, East Surrey Hospital. Travels to Cape Town and Johannesburg Allergy Clinic as visiting allergy expert and is a registered Medical Specialist with the Health Professions Council of South Africa. Married with 3 adult children and a great interest in restoring classic British sports cars, collecting British war medals and keel boat sailing but struggles to play decent golf. Dr Morris is legally obliged to inform you that he has no financial interest in any of the hospitals or clinics from which he practices medicine. Page last reviewed and updated 2nd January 2019. The following Allergy Newsletters, Reports, Educational Booklets and Articles were published over the years by or in collaboration with Dr. Adrian Morris. They may be of interest to you, so please right-click titles and ’save as’ to download the PDFs.